​Did you know that horse racing dates back to the 1600’s? What started off as a friendly competition between neighbors on dirt country roads developed into a billion-dollar industry. Pennsylvania’s earliest organized horse racing took place at agricultural fairs during the early 1800’s with Standardbred harness racing. Standardbred horses were popular with farmers who trained and used them to pull carriages. Farmers would take their fastest horses to county fairs to compete in “speed trials.” Those results were used to determine whether a horse was well bred. Once the horse’s credentials were established, farmers would breed and sell these horses for a higher price. By the late 1800s, Pennsylvania had established Standardbred associations for agricultural fairs to regulate the races. Today, harness racing looks much different from the dirt races in the 1600’s. Standardbred horses are bred and trained for the sole purpose of becoming a race horse. Instead of horses racing with wooden buggies, modern day race horses pull sulkies, a metal race-bike attached to the harness of the horse that carries the driver. Racing fans can enjoy the excitement of this timeless sport at harness racetracks or county fairs. Each year, from May through October, agricultural fairs take place in almost every Pennsylvania county. Today we have 109 county fairs, 15 of which feature live harness racing. 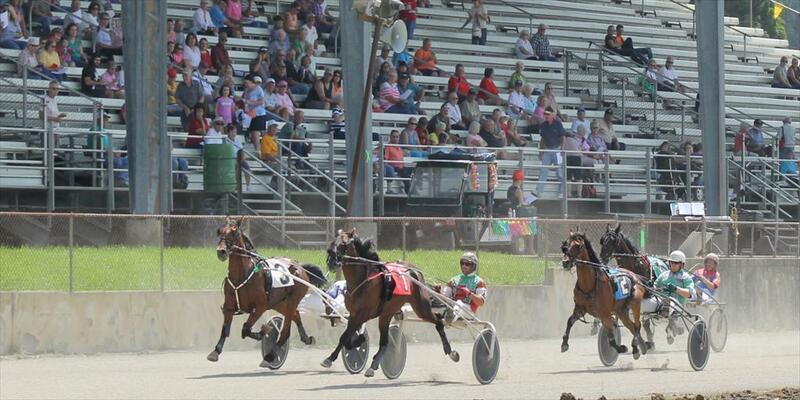 This year, treat yourself to little bit of PA horse racing history by visiting a county fair with a harness track!